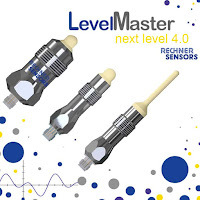 Rechner Sensors has released a new set of catalogs for 2019. Included in this years catalogs is the introduction of industry specific catalogs. See the list of updated catalogs below. For a full list of our catalogs please visit our catalogs web page here. Rechner Sensors has thousands of different models of capacitive sensors. If you can't find what you are looking for, please contact us by phone or e-mail and we will be happy to assist you. Rechner Electronics and Rechner Automation are excited to bring you new capacitive sensor technologies at trade shows in 2019. Analog capacitive sensors can give the user more information than traditional ON/OFF capacitive sensors. Our new LevelMaster with an analog output can be programmed to detect a wide range of different recipes without having to readjust your sensor. This sensor can even detect the presence of a solid suspended in a conductive liquid. Visit our booth for a demonstration of our new technologies. Rechner Sensors has uniquely capable capacitive sensor products. One of these abilities is to ignore massive amounts of product build-up and still switch reliably every time. Here we present a practical demonstration of our 26-Series sensor ignoring a monstrous amount of highly viscous liquid paste. 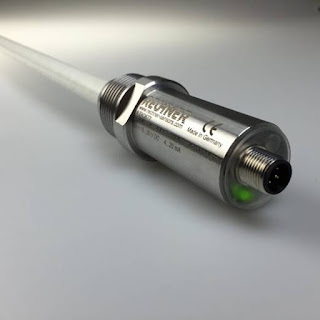 The 26-Series level probes include models that are food contact safe, can work at elevated temperatures, have Ex and AtEx rating for areas with risk of dust or gas explosion, and SIP/CIP for pharmaceutical applications.